Have you ever met someone and thought, “Wow, here’s someone without girly thoughts!”? That’s not unusual for me. When I meet a woman for the first time, I quickly assess to see if she is measures herself against societal standards and the self-defeating thoughts I’ve named “girly thoughts.” I always silently applaud when I encounter someone who doesn’t. Alese is one such woman. I recently met Alese at my gym. This small, thin young woman was pressing what looked to be more than her body weight, and I was in awe. As we talked, I learned that Alese was able to get out from under her toxic girly thoughts (all those societal shoulds that have us doubting ourselves) by taking charge of her life. 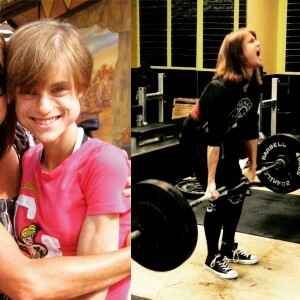 Alese is now a gym owner, personal trainer, and competitive power lifter who suffered from a severe eating disorder, misdiagnosed celiac disease, and bullying in school. This battle resulted in my need to gain 50+ lbs and get strong while mentally battling the demons of my eating disorder that wanted to keep me at a too-low body weight. The bottom picture, on the left was me at 76 lbs. Picture on the right is me now at 128 lbs deadlifting 285-lb. 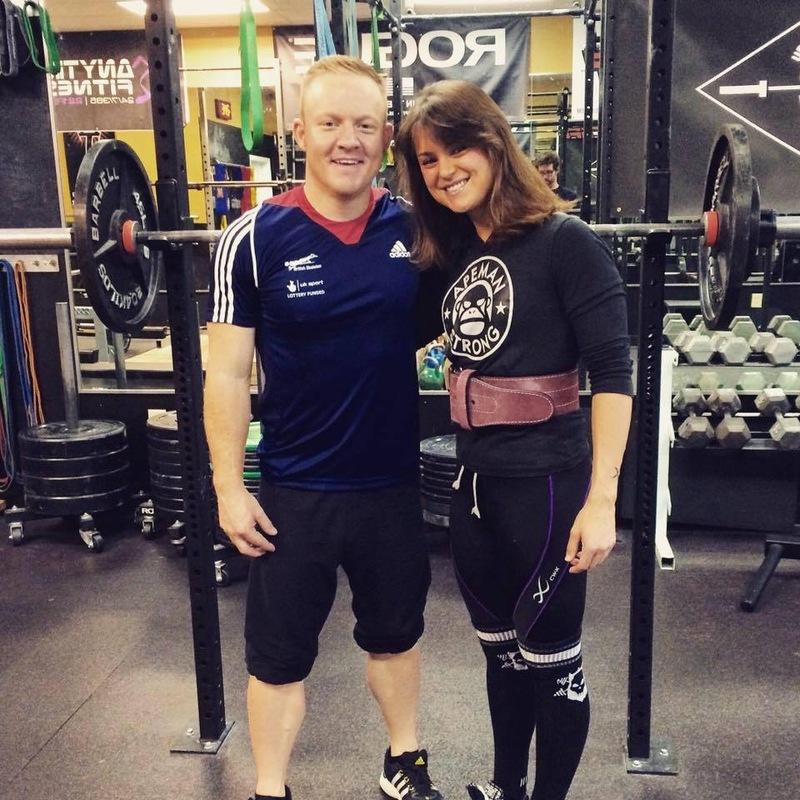 at a recent powerlifting meet! Did I mention that Alese is also beautiful—and personable? We spoke about her considerable athletic skills and the drive it took to develop them. 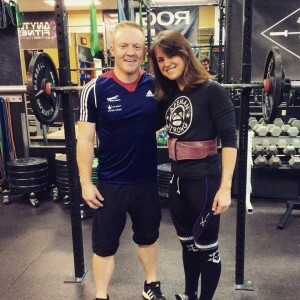 Even though the experience I lived through with my own toxic girly thoughts was terrible, it led me to come full circle, and it birthed my love of powerlifting and also my career as a personal trainer. My struggle ended up being a blessing in the end. Alese is a wonderful example of a woman who overcame her girly thoughts—the ones that whispered, “No, you can’t” and kept her buried in negativity—and embraced her resilience to achieve her goals. “Now it’s time for me to help others currently struggling with the same issues that once held me down,” she told me, and I’m excited to introduce you to her. Learn more at about Alese and her mission at www.socksandsquats.com, and follow her on Instagram @socksandsquats. Have you met someone who embodies the idea of personal resilience, someone who overcame her self-defeating and toxic girly thoughts to embrace her personal power? Maybe that someone is you? I invite you to share your story in the comments, or email me at [email protected]. Remember, you’ll find more ideas for getting rid of your negative self-talk in my two latest books, The Girly Thoughts 10-Day Detox Plan: The Resilient Woman’s Guide to Saying NO to Negative Self-Talk and YES to Personal Power, and The Resilient Woman: Mastering The 7 Steps to Personal Power.